We are collecting the best deals for you, give it a minute and start packing! 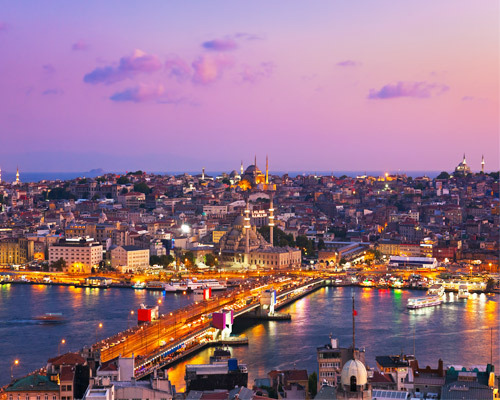 Istanbul owes its historic importance and its amazing cultural and architectural heritage to its perfect strategic location, straddling the Bosphorus straits which separate Europe and Asia Minor. 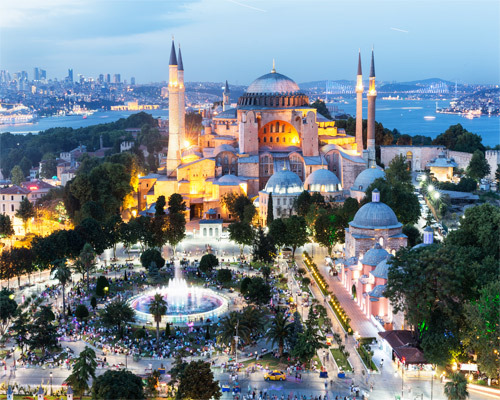 Through most of its 2,500-year-long history, the city (first known as Byzantium, then as Constantinople and since 1930 as Istanbul) was a cultural melting pot. Today, its population of more than 13 million is almost exclusively Turkish, and many of its people are recent migrants from provincial Turkey, lured by the promise of jobs and careers in this vibrant, fast-growing city. Istanbul is no longer the nation's capital, but is Turkey's economic and cultural powerhouse - a status underlined by its role as a European City of Culture in 2010 and the award of UNESCO World Heritage listing to many of its most important landmarks, which range from stunning Ottoman mosques and Byzantine churches and catacombs to the columns of Hellenistic temples and the remains of massive medieval city walls. But there's more to Istanbul than Byzantine and Ottoman heritage. A fast-growing economy contributed to a flourishing arts and music scene, with a plethora of new bars, clubs, private art galleries, restaurants and designer fashion outlets.